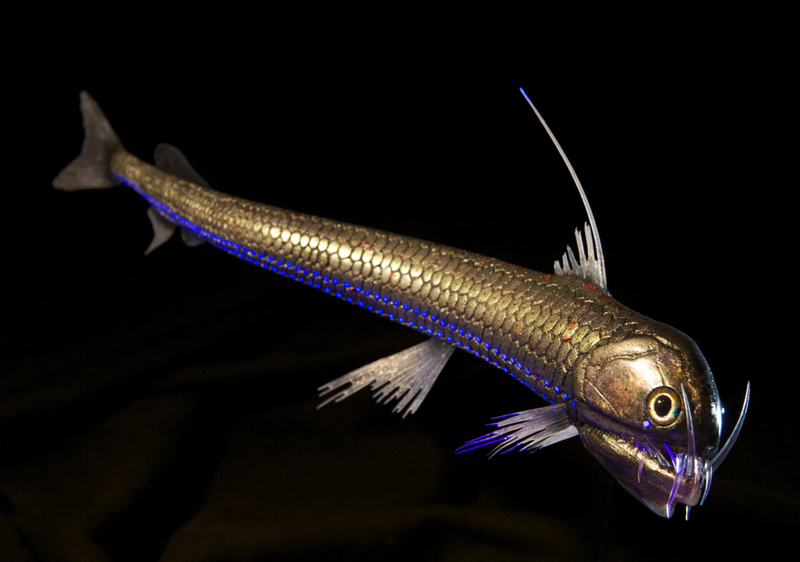 Sloan’s viperfish is a predatory dragonfish living in the deepsea around the world. 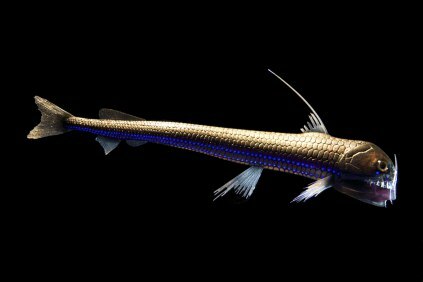 As all dragonfish they have a minimized skeleton, except for its jaw, that houses an impressive set of enormous sharp teeth. When the jaw is closed, the teeth fit together to form a cage in which prey can be trapped. Its jaw can be unhinged, allowing it to open its mouth up to 90° to catch prey up to 63% its own body size! The size, shape, location, and number of teeth are consistent across individuals of C. sloani, and each fang is highly specialized. 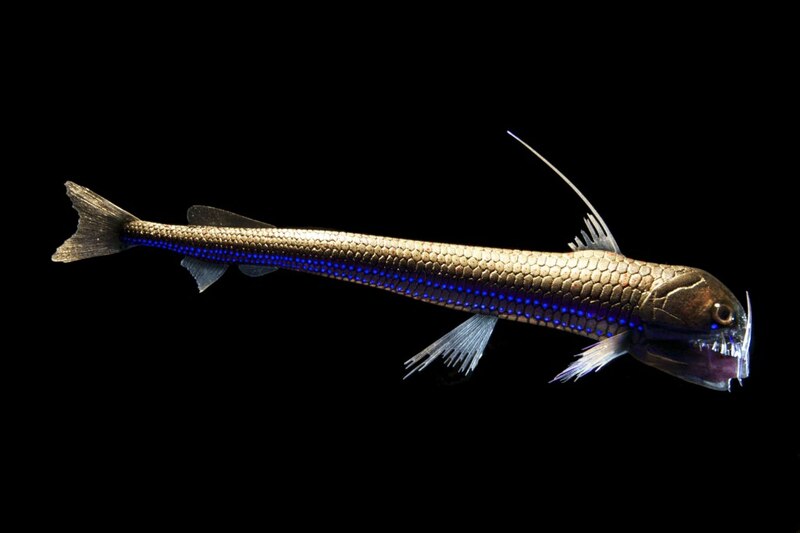 It likely lures prey to its mouth with its photophore, or by arching its long dorsal ray to dangle in front of its mouth. The foremost tooth, which is relatively straight and has sharp ridges, may then be used to wound larger prey. 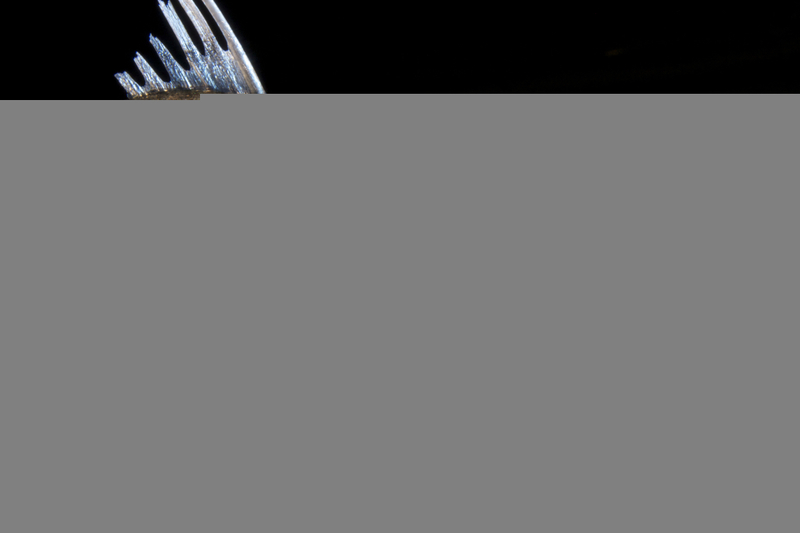 The curved second tooth is thought to be used like a dagger, retaining larger prey. Its size can range from 22 mm to 220 mm, and it’s coloration is an iridescent silver-blue. 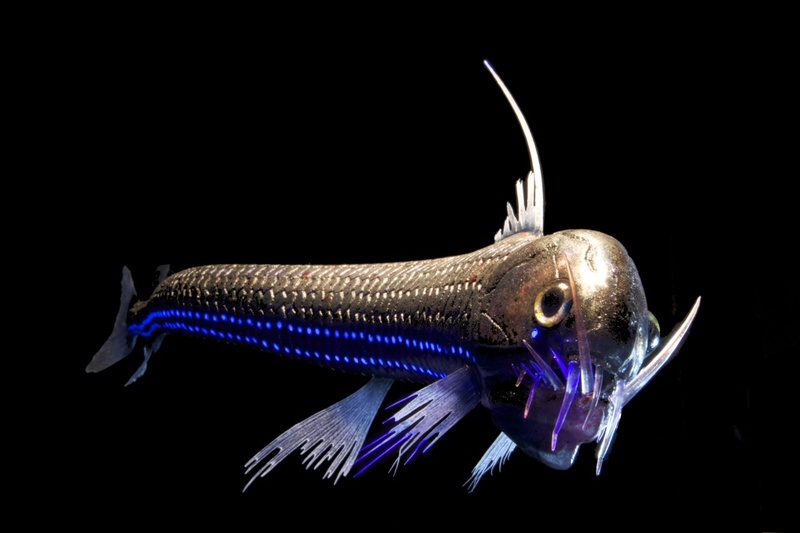 It has two rows of photophores, one on each side of the ventral part of its body.